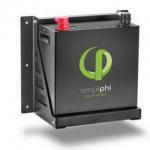 Includes: GS7048E Inverter, mounting bracket, remote temperature sensor, hardware kit and manual. 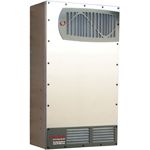 The Outback Radian series Inverter/Charger offers a complete power conversion system between batteries and AC power. It can work in a system to provide backup power, sell power back to the utility grid, or provide complete stand-alone off-grid service. The GS7048E is a powerful DC to AC true sine-wave inverter and battery charger that features dual AC inputs and 230 VAC single phase voltage. The inverter easily integrates with the , Outback MATE3 and HUB Communications Manager to provide an industry leading, scalable power solution. The Radian Series utilizes a durable stainless steel face with a galvanized steel enclosure, providing you with Outback's signature ruggedness, but with a sleek, compact and modern appearance. 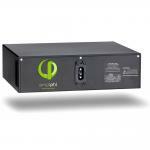 Outback Inverter/Chargers are the only choice when you need a dependable power solution for your home or business. Uses spring-based AC terminals instead of screw-based terminals. This eliminates torque requirements and periodic re-tightening. All terminals exit at the bottom of the inverter. This allows the installer to use a single distribution box. The GS Load Center (GSLC) is specifically designed for this purpose and is sold separately. Uses the MATE3 System Display and Controller (sold separately) for user interface. Up to 10 Radian Series Inverter/Chargers can be stacked together.